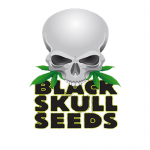 Black Skull - Power Bud. Free US delivery. The cross of big bud and power plant is a masterstroke which results in a plant that offers a wonderful cerebral high without compromising on production. Big Bud was first developed in the USA before being exported to the Netherlands where it was refined and improved. It is an indica strain which produces massive buds with very few leaves and production levels which are unmatched by any other variety. The effect is rather ‘couchlock’ so we introduced the sativa genetics of Power Plant to the mix to create a more balanced strain. 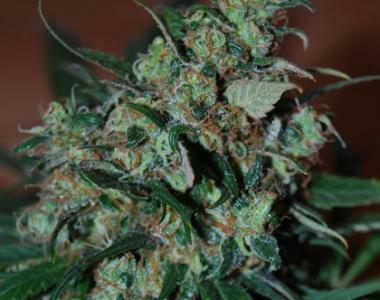 The result is a very easy to grow strain which can yield 550g per m2 indoors and has unlimited potential outdoors. The Buds are rock hard, easy to trim and shine with crystals. They give off a pungent, earthy aroma with skunky overtones. The high is incredibly strong with a clear cerebral effect but also a strong body stone. This strain is slightly Indica dominant so for medical users has great appeal for its pain killing and stress relieving qualities.